The year is 1963 and British author C.S. Lewis is in his twilight years. The novelist, poet, essayist, academic, literary critic, and broadcaster has agreed to host a group of curious Americans in his simple house outside Oxford. What ensues is an enthralling performance that has captivated audiences worldwide. 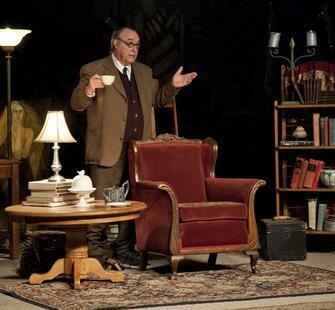 Performed by renowned actor David Payne, this dramatic one-man show is full of warmth and humor, offering fascinating insight into the man who penned more than 30 works, including The Screwtape Letters, The Space Trilogy, and the beloved Chronicles of Narnia. We're sorry! Tickets are not currently available online. Please contact our box office at 408-961-5858 10am-4pm Monday-Friday for more information.